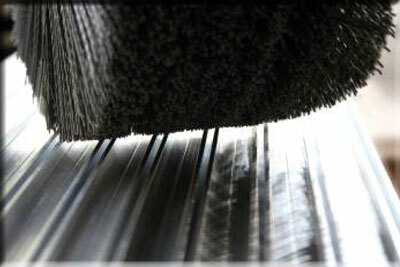 In order to exalt the aesthetic characteristics of Aluminium, extruded products, plates and profiles need delicate satin finishing operations before anodising or electrocoloring. 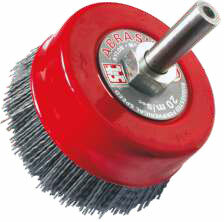 Single Section Brushes with 300 mm. 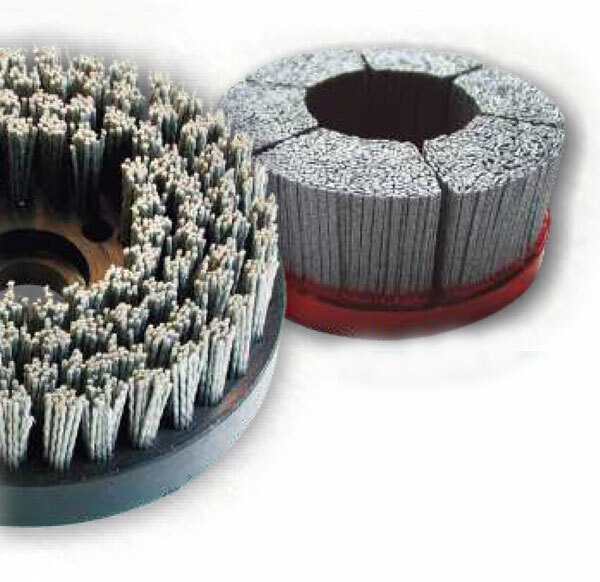 diameter and 80 mm hole, diameter 250 mm and 40 mm hole, in Stainless Steel 0,15 - 0,60 mm, Rollers in abrasive Nylon of different sections, types and grits, allowing to obtain a wide range of surface finishing. Reduced processing times and quality improvements are results that can be obtained with automatic machines that carry out deburring and finishing operations. 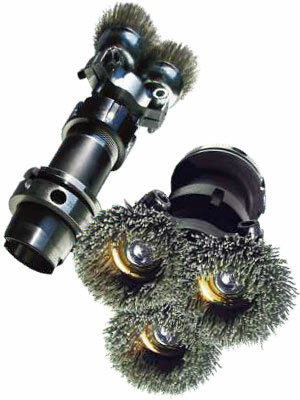 The piece to deburr and the kind of operation required will suggest the ideal brush. 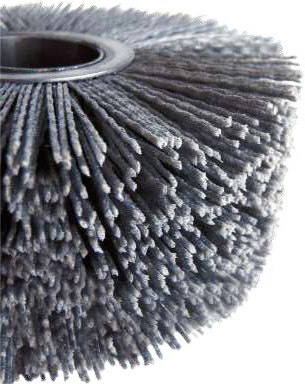 Wheel, cup and front-end brushes, tube brushes of different size, different kinds and grits of abrasive nylon (or metallic wires), wire section and diameter, trim length, working intersection, rotating and advancement speed, those are the varying characteristics on which SIT technical assistance can give you any advice in order to optimize the final result. 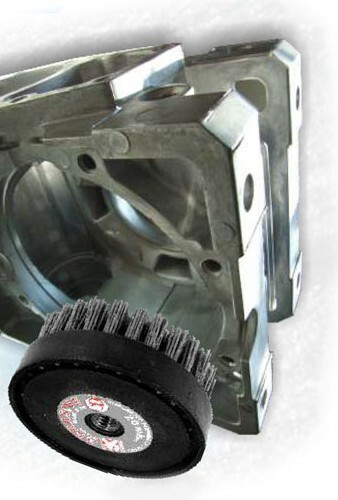 The cleaning of rolling cylinders is an important and delicate operation because of the complicated shapes that these can have. 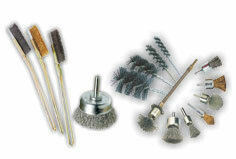 AluSolutions offers a complete range of tube brushes, end brushes and hand brushes for reaching the hidden angles of the molds. 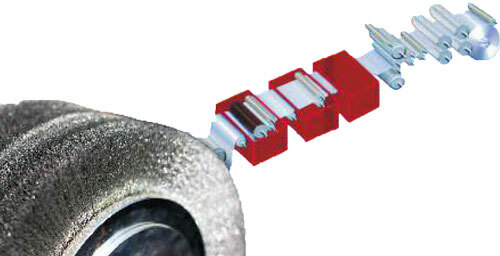 Each rolling cylinder must be perfectly cleaned to avoid the presence of scraps on these delicate surfaces cause prints and defects in the laminates. 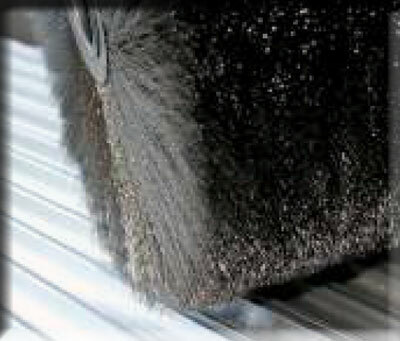 To avoid that this happen SIT has designed extremely compact brushes that, thanks to a specific filament and the freecurved surface, guarantee the cleaning and the functioning of the lamination cylinders.